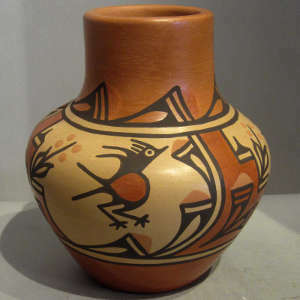 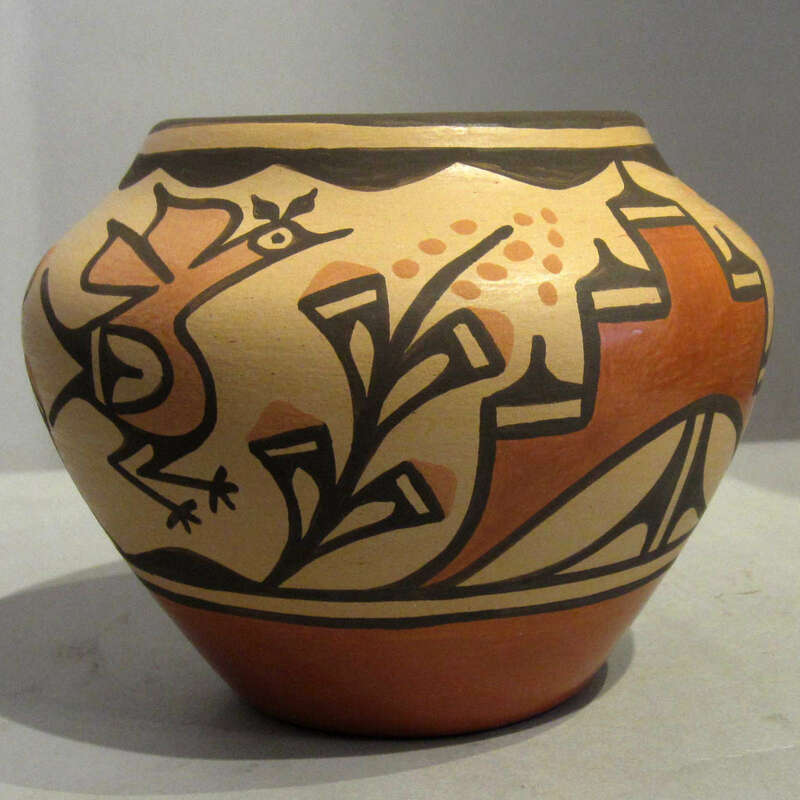 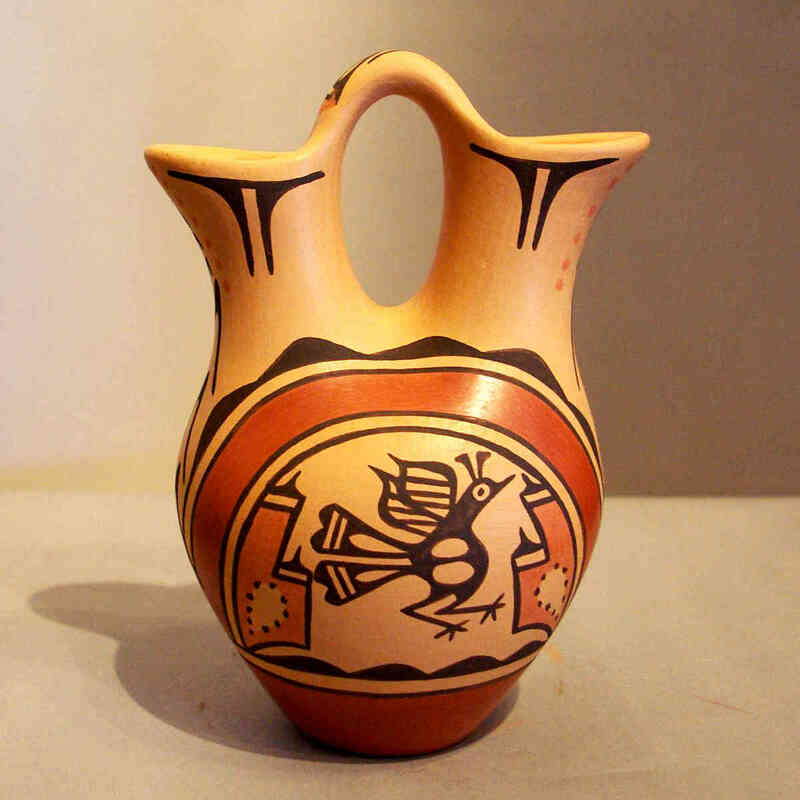 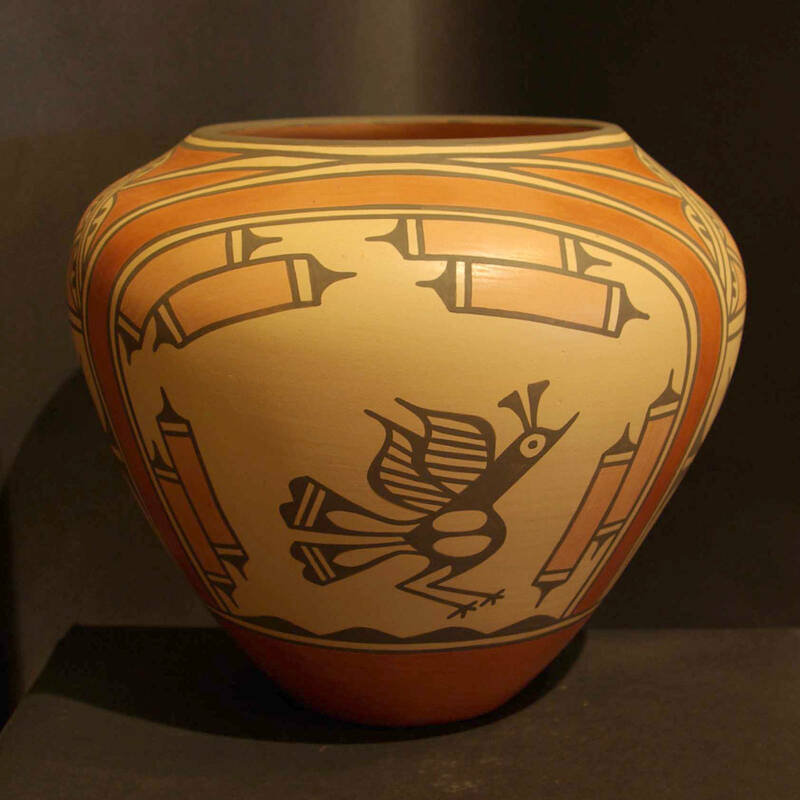 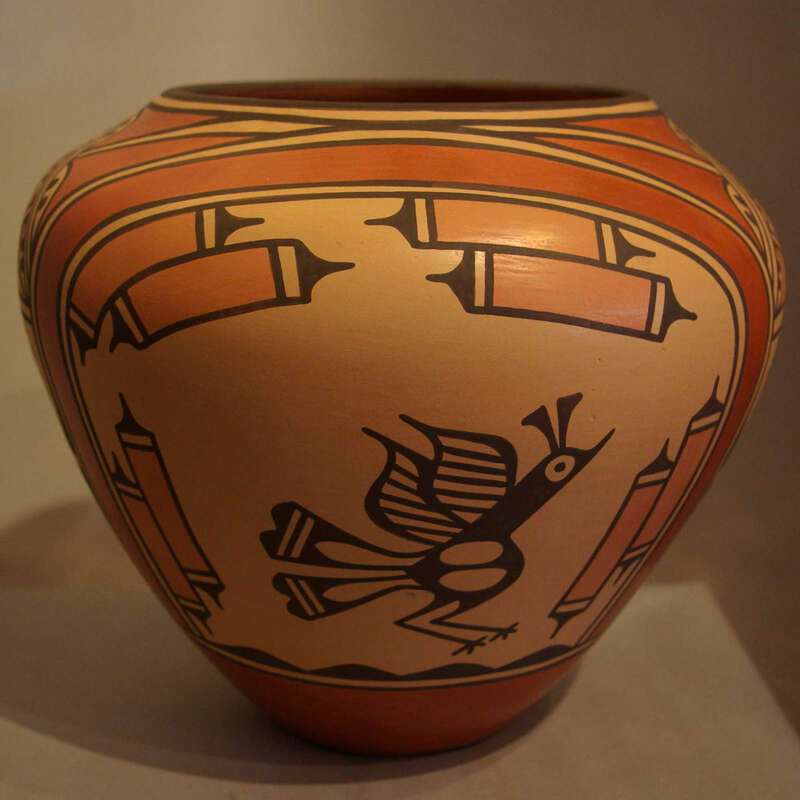 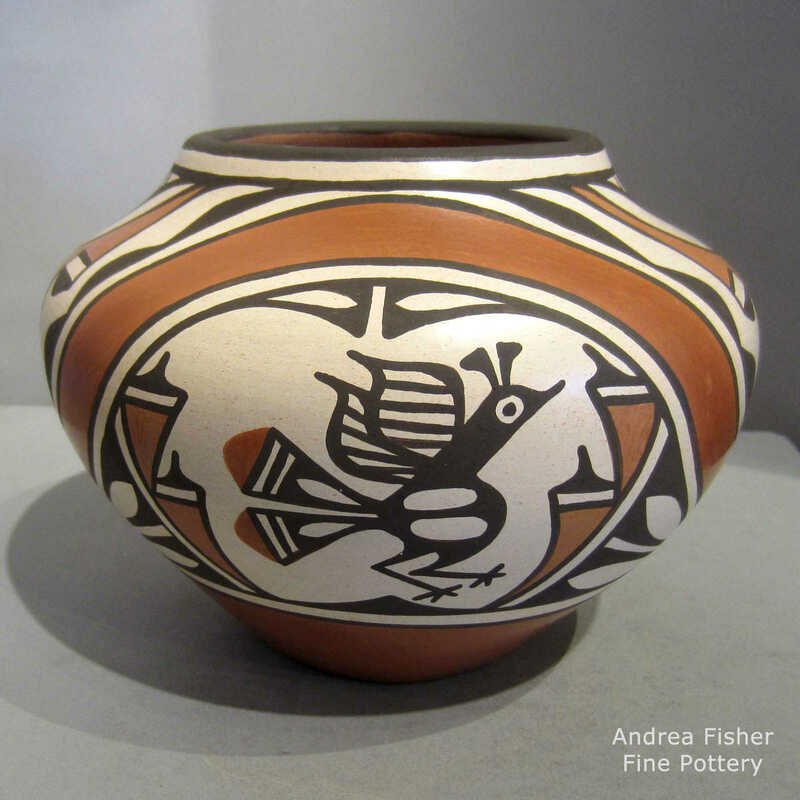 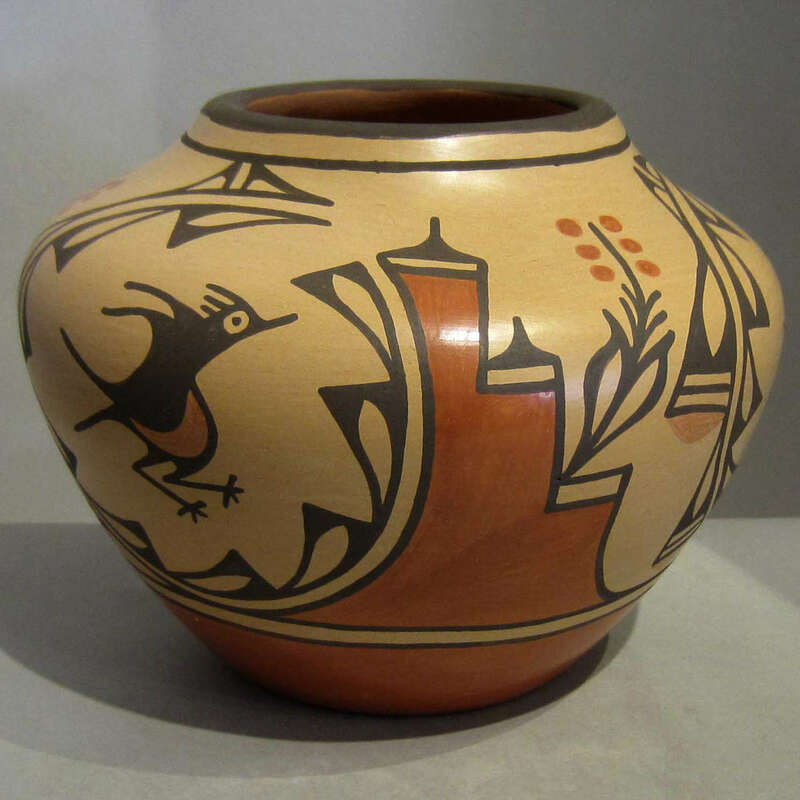 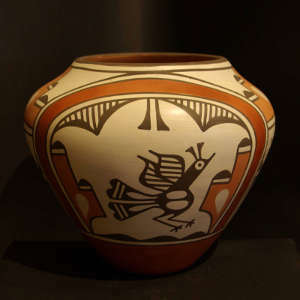 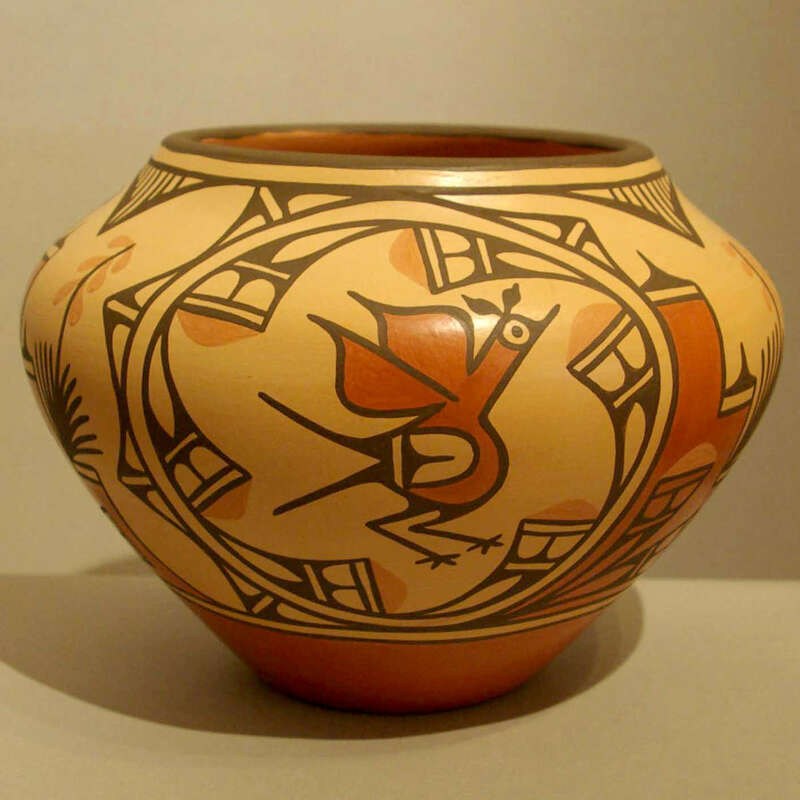 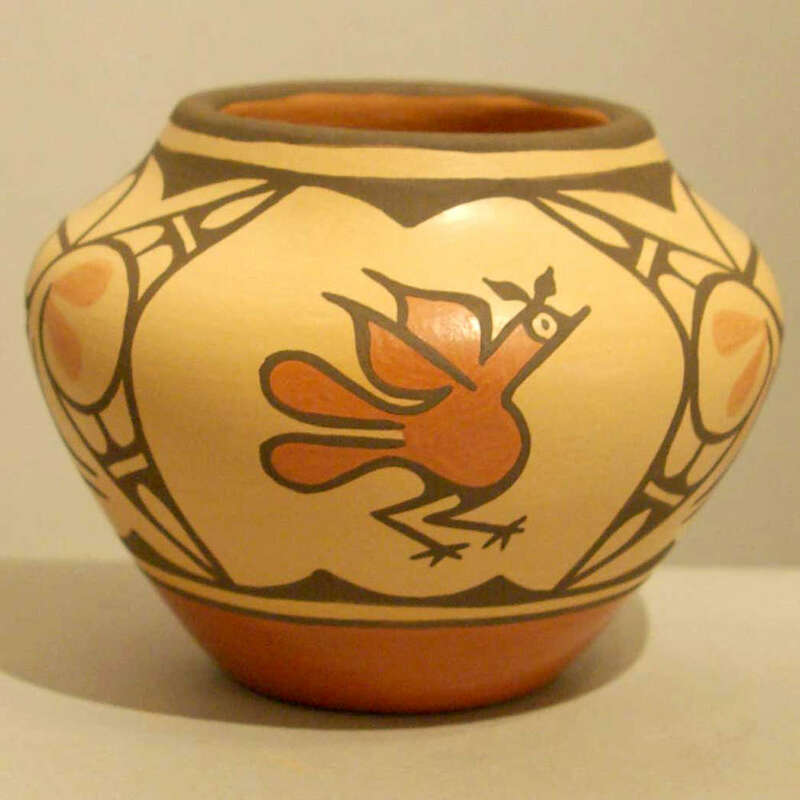 Ruby Panana was born into the Coyote Clan at Zia Pueblo on April 8, 1954, the daughter of famed potter Seferina Pino Bell who, over the years, taught Ruby the traditional way of forming raw clay into fine art. 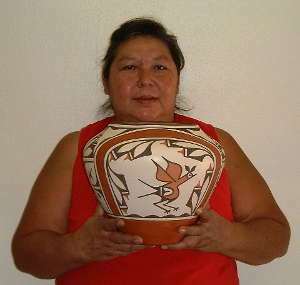 Ruby attended the Zia Day School through the fourth grade, then went to Albuquerque public schools and graduated from West Mesa High School. 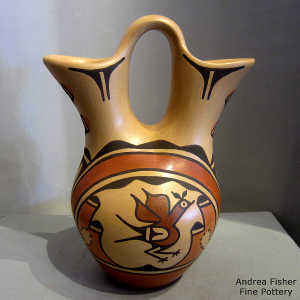 While going to high school, she often helped her mother with her pottery, then began to make small pieces of her own. 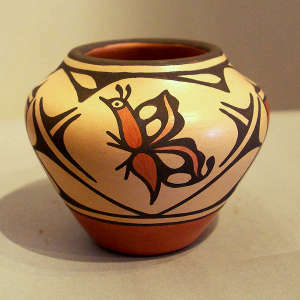 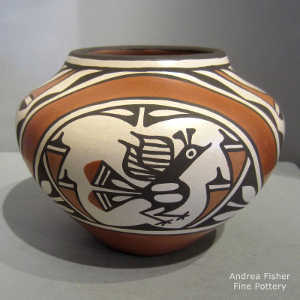 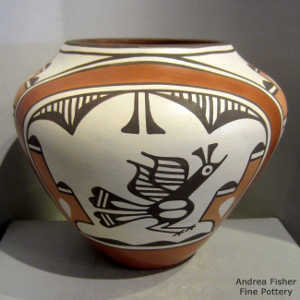 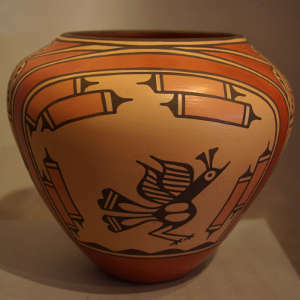 However, the pottery bug didn't bite and she went on to the University of New Mexico, working toward a degree in education. 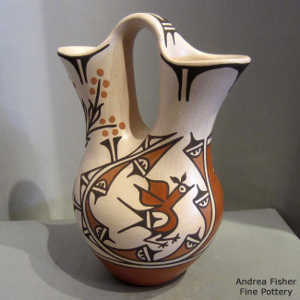 However, the scholarship money wasn't enough to cover her expenses so she had to quit. 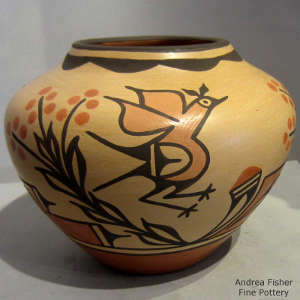 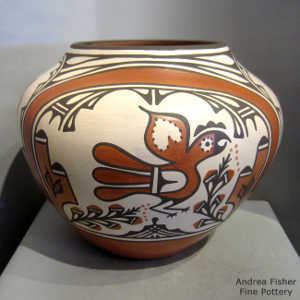 She returned to the pueblo and to pottery. Ruby has been an active potter since 1983. 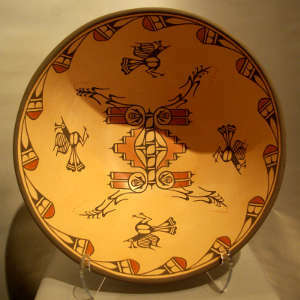 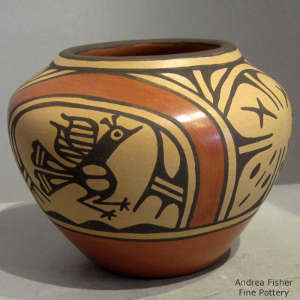 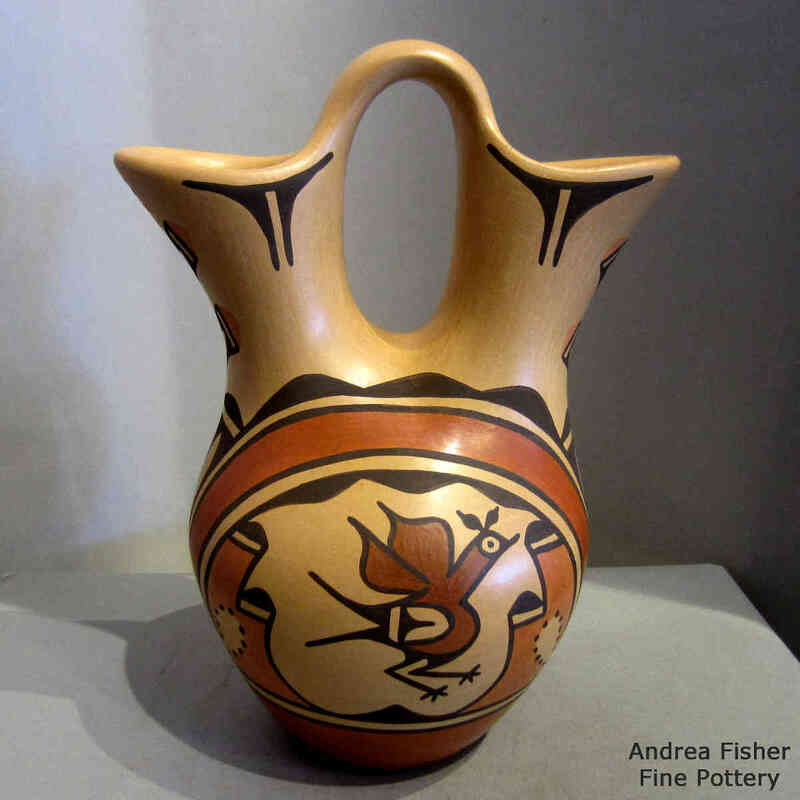 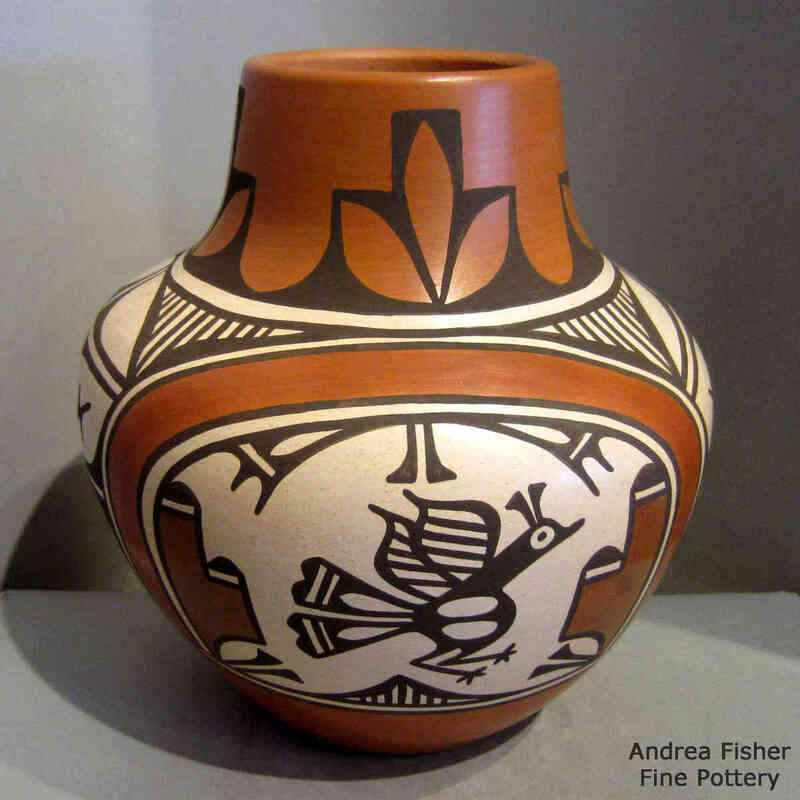 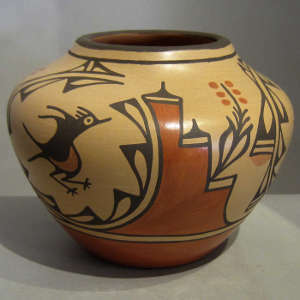 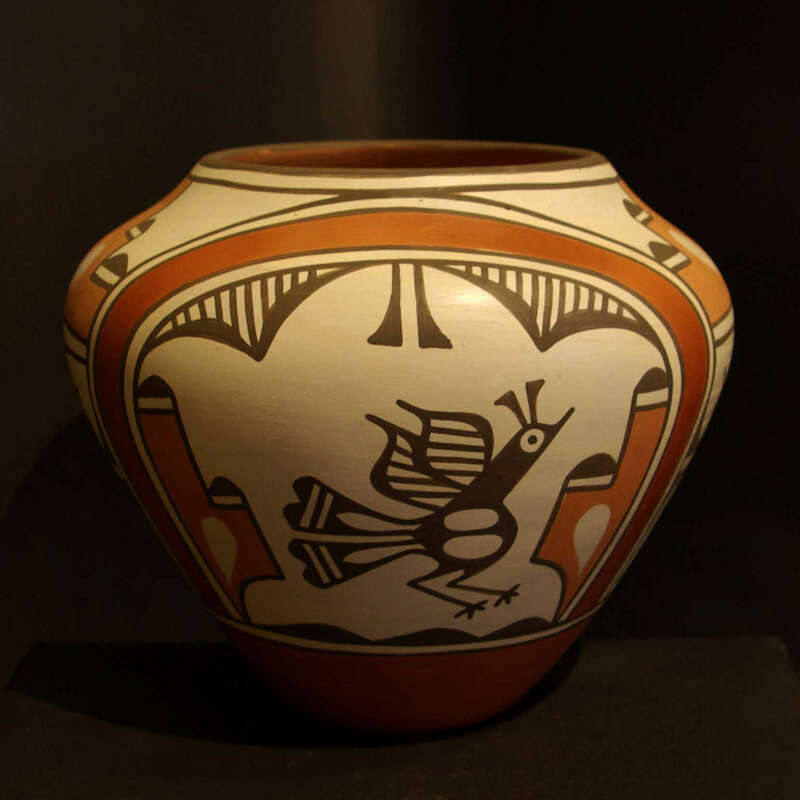 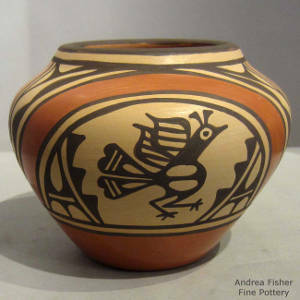 She got married and now lives at Jemez Pueblo but she creates some of the largest traditional Zia pottery today, in the manner of Trinidad Medina and Sofia Medina. 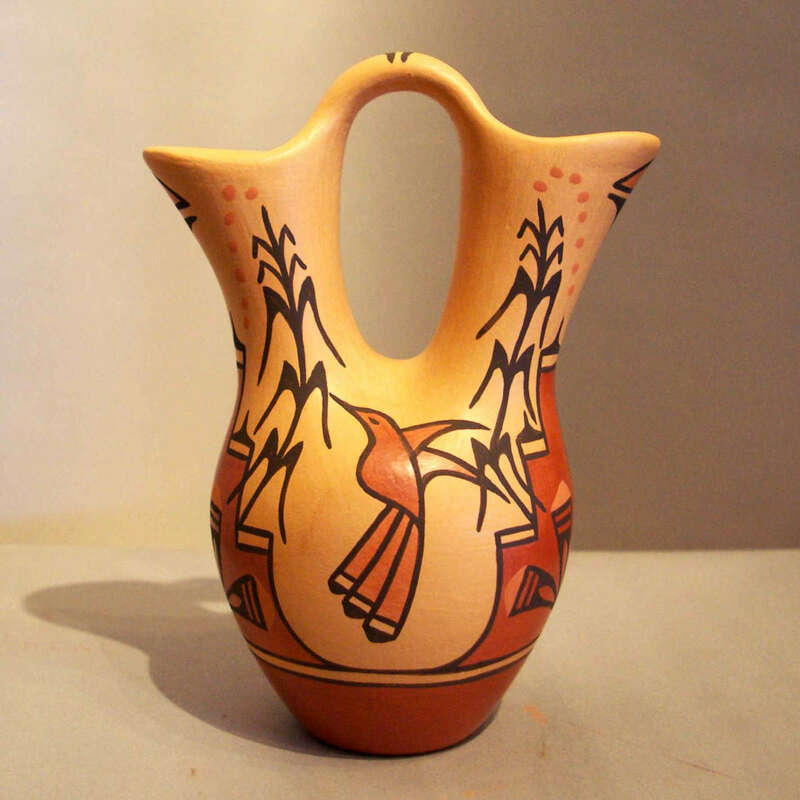 Her work spans the gamut of polychrome jars, bowls, vases, wedding vases and canteens. She is best known for that pottery that ends up large, with impeccably painted artwork on it.